Many people let their dreams stay dreams. But this is a story of someone who turned their dream into a reality. 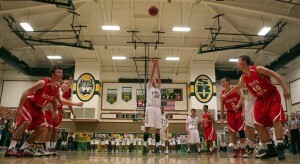 In 2014 the San Ramon Valley varsity basketball team won the Division I high school state championship. Surrounded by a community of supporters in Haas Pavilion at UC Berkeley, the wolves beat Chino Hills in double overtime to capture the state title. Not only did SRV win, but they beat a widely recognized point guard in the NBA, Lonzo Ball. Keith Smith, captain and star player of the championship team, says that even now people approach him and recall SRV’s famous win over the Ball brothers. “I really did that with my teammates,” Keith said, reflecting on the fond memory. Keith demonstrated then and continues to show how hard work pays off. Keith began playing basketball in third grade, playing for St. Joan of Arc. Little did he know then that basketball would take him on the journey of a lifetime. After taking home the state title senior year, Keith headed off to Montverde Academy, a prep school in Florida. He chose this path because the prep school has one of the best basketball teams in the nation, and it was a great way for Keith to get exposure to college coaches. Keith says that he developed at Montverde because he worked diligently, every single day, on his craft. He learned that it takes a lot of energy and intent to receive collegiate level offers if you are not a well known prospect. But Keith also knew how to put in the effort in order to reach the next level. After one year at Montverde, Keith received an offer from Virginia Military Institute, where he played Division 1 basketball for two seasons. Life at VMI was not the typical college experience. For example, instead of having a welcome week for incoming students, VMI has “Hell Week”, which consists of workouts from dawn to dusk. “They kind of throw you into the fire,” Keith said. Due to the many high expectations demanded from this school, as well as being a part of the basketball team, Keith learned a lot about discipline and how to juggle multiple tasks. Keith also shared that playing at a Division 1 level for the first time was a shock. “The speed picks up and it feels completely different,” Keith said. Keith is currently a student-athlete at Cal Poly San Luis Obispo; he plays on the basketball team and is majoring in sociology. From high school to prep school to VMI to Cal Poly, Keith has climbed his way up using perseverance and determination. 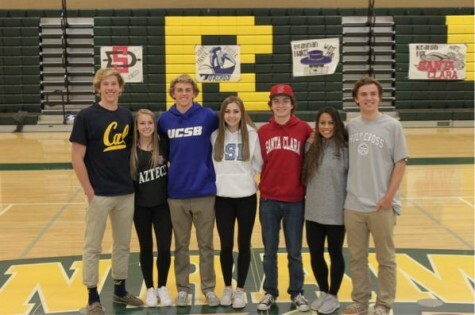 Keith is looking forward to “starting over again” at Cal Poly, as well as growing as a basketball player. He hopes to grow with his team and take in each moment. “I want to appreciate where I am right now and what it took to get here,” Keith said. Keith shared some advice for aspiring Division 1 athletes. Keith’s roller coaster journey as an athlete has made him into a stronger person, both physically and mentally. Since basketball is a team sport, it has taught him to work with a group and to lead by example. Keith plans on playing professionally after his time ends at Cal Poly. “I’m going to do everything I can to make it happen,” he said. Considering his work ethic and how far Keith has come in his basketball career thus far, the sky’s the limit on how far he can go. Who else wants Dance to be considered a Sport?